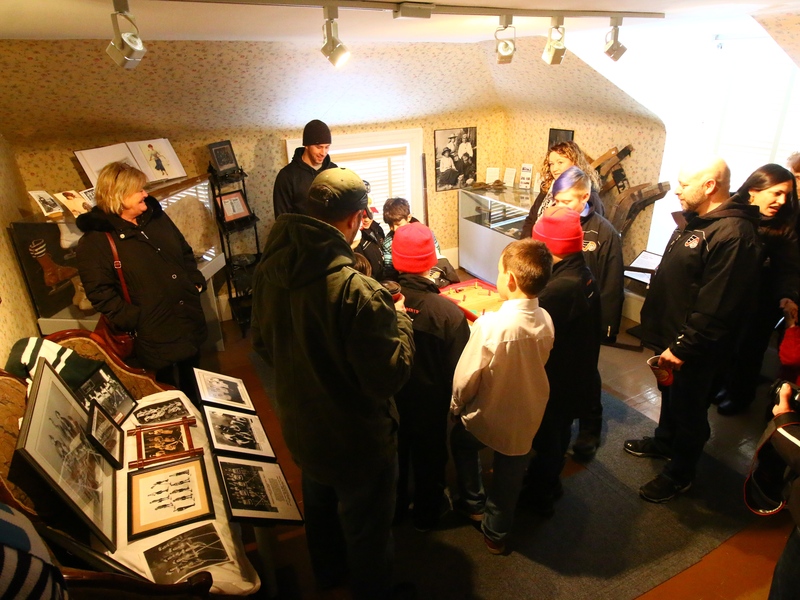 As the Birthplace of Hockey Tournament On March 17 and 18 as well as March 24 and 25 the Birthplace of runs over the next 2 weeks, the Birthplace of Hockey Museum in Windsor NS will be open both weekends. The special opening will allow visiting players, parents and members of the public to view the hockey artifacts and memorabilia that portrays the history of hockey from its early days to present. 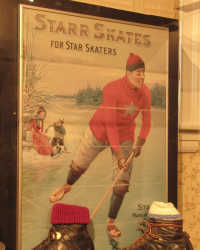 Whether you are visiting the West Hants and Windsor area for the annual Birthplace of Hockey Tournament at the Brooklyn and Hants Exhibition arenas or just interested in hockey’s proud history it is worth stopping by to see the collection. 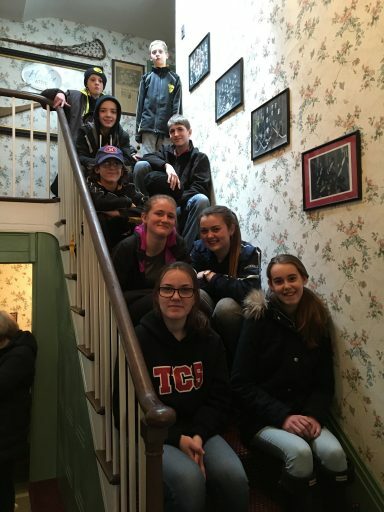 Pictured left are the Thorburn Golden Hawks who took the time to view the artifact and proud hockey history that surrounds the Hants County and Windsor area. Below youth from another team try their hand at the antique table top hockey games. The museum will be open Friday and Saturday March 17 and 18 as well as March 24 and 25 from 10 am to 5 pm. As tournament games continue through the week, the museum will be again be open to the public this Friday March 24th and Saturday March 25th. 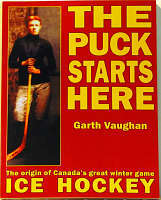 Forget what you’ve read, or been told, about the origins of Ice hockey. Most stories miss the goal. On October 8th, King’s-Edgehill School, near famed Long Pond in Windsor, will be the scene of more Hockey history. 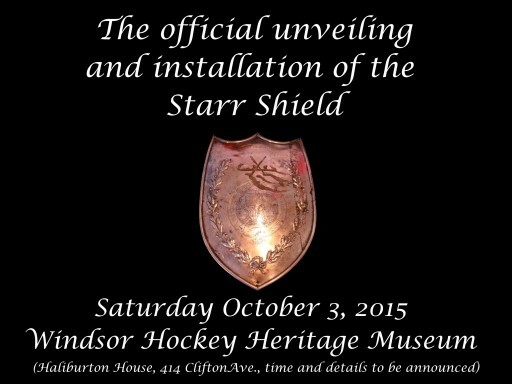 The Windsor Hockey Heritage Society has announced it will host an official Star Shield unveiling and installation. The Society was successful in securing the shield late this summer which had been presumed lost in a fire in 1947 – 1948. The 1924 Starr Shield has an interesting and exciting history woven with its earlier predecessors: the Starr Trophy presented from 1897 to 1909 and an earlier (original) Starr Shield presented from 1910 through 1923. Each of these historic trophies was regarded as the ultimate reward for Maritime senior hockey between 1905 and approximately 1964. The 1924 Shield was recently discovered by dedicated hockeyist historian David Carter and subsequently secured through the successful efforts of Society members. More details on the official ceremony will be announced shortly. 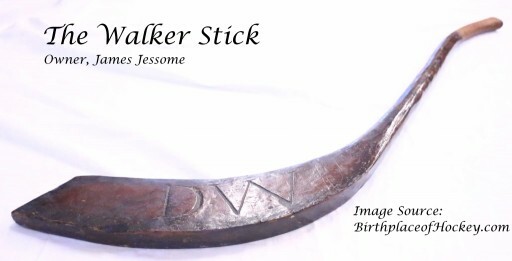 In late August we had a very pleasant visit in Windsor when James Jessome arrived with his “Walker Stick”. The stick has its roots in Cape Breton and is considered one of the oldest remaining early hockey sticks around. James was very gracious in allowing us to photograph his stick and in taking the time to provide us with the background on the stick below. We hope to have the stick return to Windsor for another visit sometime soon such that others may have to opportunity to see it in person. Following is the overview on the stick as provided by owner James Jessome. 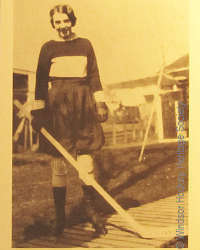 “The stick belonged to Donald Walker from Scotch Lake, Cape Breton. This is approximately 2 kms from Pottles Lake (where the Moffatt Stick was born). Donald Walker is one of my ancestors. He was born around 1803. (I can’t remember off hand how many “great”s grandfather he was). The story all started in 1970 when my grandmother, Sara Kavanaugh came home for a visit. 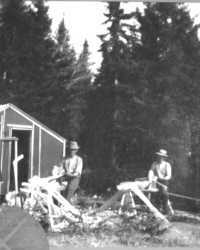 The first thing she proceeded to do was to visit her old homestead in Scotch Lake; which was vacant at the time because they had moved out in 1955. The home was used as a summer place. When she came home, she wanted to clean the house. In the process of cleaning the house she found some old coins; which started me on the path of treasure hunting. At the top of the stairs, I found loose floor boards and pulled some up looking for more old coins. What I found instead was a long barrel black powdered gun, 2 hockey sticks and a puck (my father told me it was made of leather). The first stick had been broken and was held together with square nails. The second stick was intact. My grandmother told me the story of the stick. She said it belonged to one of her great grandfathers. She was so pleased to see it, she told me to keep the stick and that it may be worth something someday. When I found the stick, I actually thought it was a weapon of some sort. The stick is clearly marked “DW” for Donald Walker. My mother told me that when she was young she wanted to play with the stick and was told it was an antique and wasn’t allowed to touch it (that was in the late 1920’s). 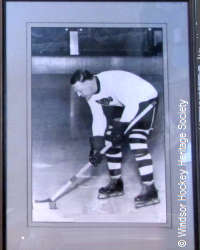 With tremendous thanks and appreciation to James Jessome for his contribution to our image collection of information on hockey history at the Birthplace of Hockey. 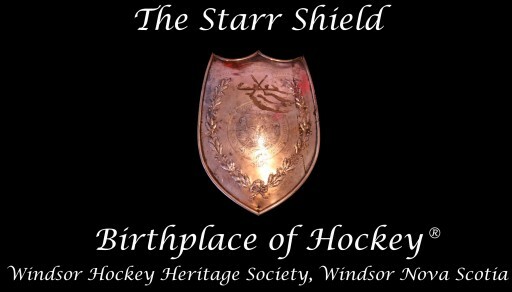 Believed to have been destroyed in a fire in 1947 – 1948, the Windsor Hockey Heritage Society is now the proud owner of the rediscovered 1924 Starr Shield Trophy. The 1924 Starr Shield has an interesting and exciting history woven between its earlier predecessors; the Starr Trophy of 1897 and the earlier (original) Starr Shield circa 1910 through 1947 (est.). Each of these historic trophies was regarded as the ultimate rewards for Maritime senior hockey between 1905 and approximately 1964. 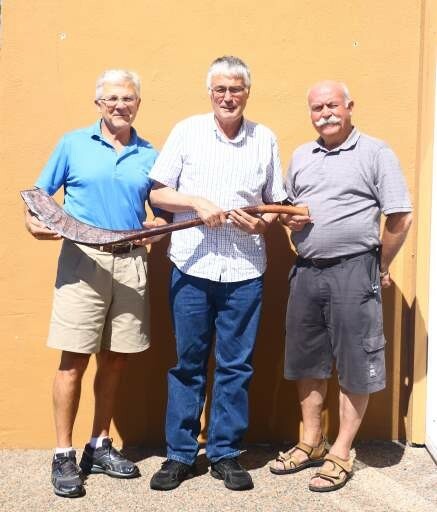 The 1924 Shield was recently discovered by dedicated hockeyist historian David Carter and subsequently secured through the successful efforts of Society members. 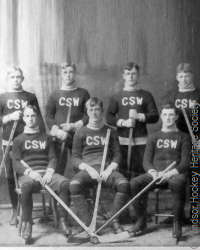 More details on this exciting find and acquisition by the Windsor Hockey Heritage Society for the Birthplace of Hockey will follow with an official ceremony to be announced. 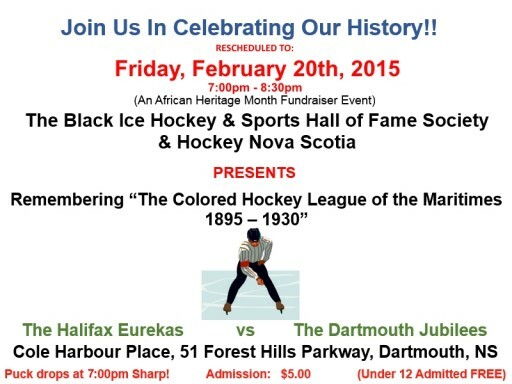 February 18, 2015 Due to the storm cancellations last Sunday an “updated” invitation has been issued by the Black Ice Hockey and Sports Hall of Fame Society as well as Hockey Nova Scotia to join together in remembering the “Colored Hockey League of the Maritimes 1895-1930”. The reschedule date is Friday Feb 20th from 7 pm to 8:30 pm at Cole Harbour Place in Dartmouth. In honoring the league’s success and accomplishments a game is being held between the “Halifax Eurekas” and the “Dartmouth Jubilees” on Sunday February 15th. 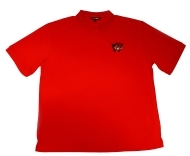 The game will be held at Cole Harbour Place, 51 Forest Hills Parkway in Dartmouth. Everyone is advised that the puck will drop at 7PM sharp! Admission is $5.00 with children under 12 admitted for free. 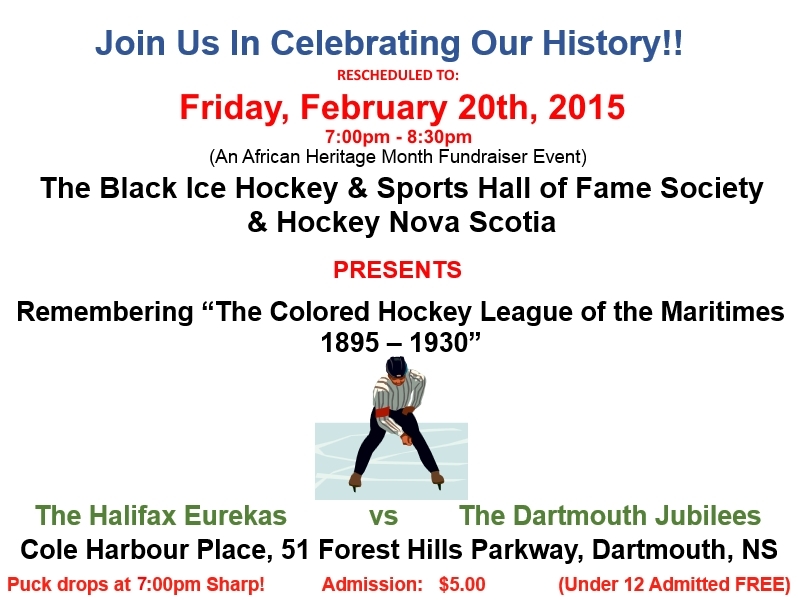 February 3, 2015 An invitation has been issued by the Black Ice Hockey and Sports Hall of Fame Society as well as Hockey Nova Scotia to join together in remembering the “Colored Hockey League of the Maritimes 1895-1930”. 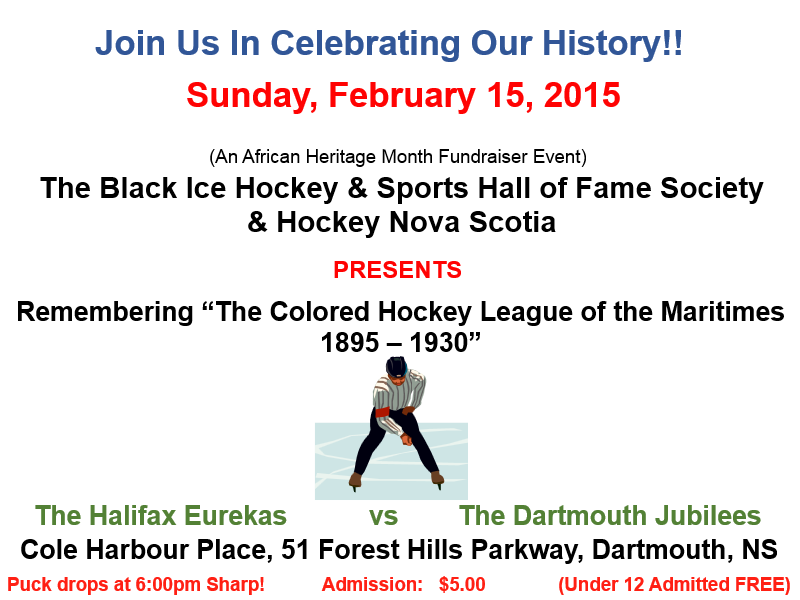 In honoring the league’s success and accomplishments a game is being held between the “Halifax Eurekas” and the “Dartmouth Jubilees” on Sunday February 15th. The game will be held at Cole Harbour Place, 51 Forest Hills Parkway in Dartmouth. Everyone is advised that the puck will drop at 6PM sharp! Admission is $5.00 with children under 12 admitted for free. View Invitation. December 12, 2014 A group of NHL alumni players on tour took time to stop in and visit the Birthplace of Hockey in Windsor Nova Scotia. While in town they took a tour of the Windsor Hockey Heritage Museum as well as stopping by to visit Long Pond, the Cradle of Hockey at Dill farm. Touring with the team were: Glenn Anderson, Doug Bodger, Greg Adams, Cliff Ronning, Darryl Shannon, and Dave McLlwain, as well as Canadian country singer Aaron Pritchett. Photos of the players can be viewed here. On October 27, 2014 the community of Windsor, NS as well as the hockey and sporting communities heard of the peaceful passing Murray Joseph “Moe” Smith. As a lifetime contributor to the community he will be greatly missed. 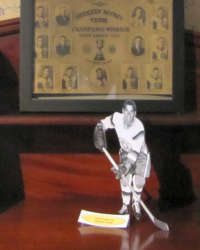 Moe was inducted into the Birthplace of Hockey Hall of Fame in 1994. 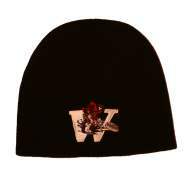 For more details: Lindsay’s Windsor Funeral Home or The Chronicle Herald. Oct. 25, 2014: The Windsor Hockey Heritage Society (“WHHS”), in concert with King’s Edgehill School, the Cradle of Hockey and the Town of Windsor will host a launch for John Paris Jr’s book, “They Called Me Chocolate Rocket”, The Life and Times of John Paris Jr.“ on Nov 15, 2014. 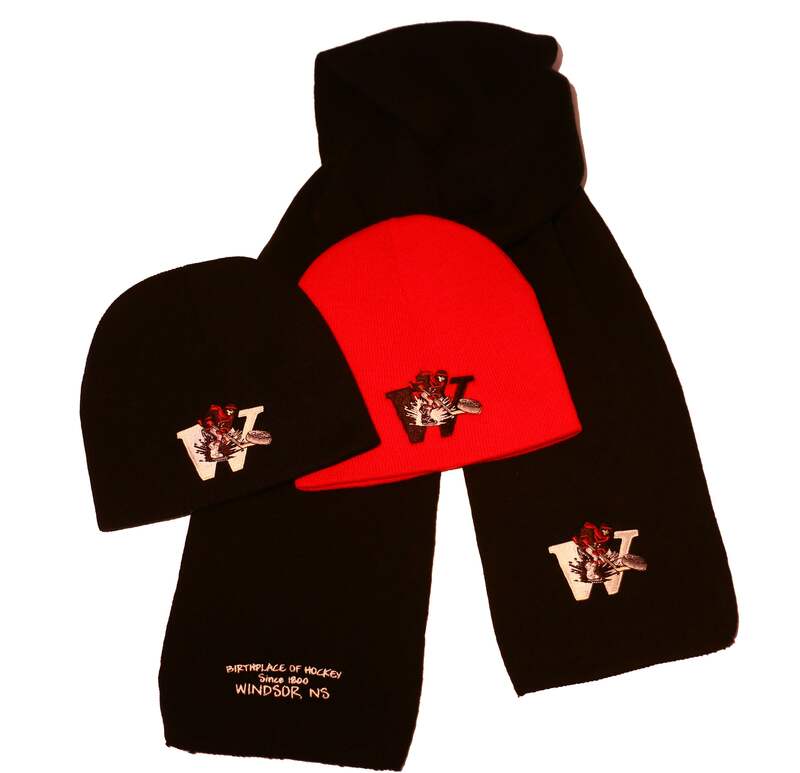 John Paris Jr. was born and raised in Windsor Nova Scotia, the Birthplace of Hockey®. As a highly respected and talented junior player in the 1960’s he was ranked as one of the top junior prospects in Eastern Canada. Scouted by the legendary Scotty Bowman he ultimately entered coaching in the Montreal-area minor systems. Thereafter he entered the pro ranks with the IHL’s Atlanta Knights where he continued his success and became the very first black professional ice hockey coach anywhere. 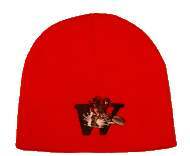 The book launch and ceremony is scheduled to be held at the King’s Edgehill School in Windsor Nova Scotia on Nov 15th. 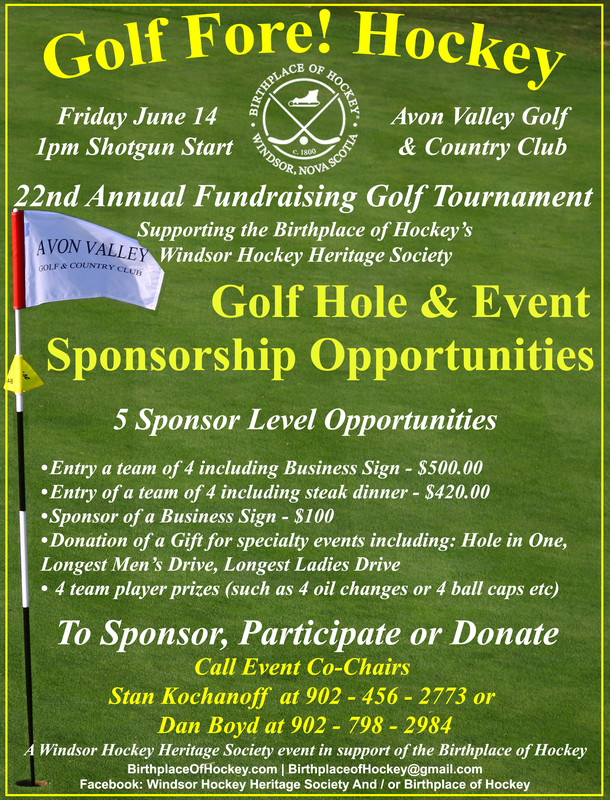 Additional details will be provided in the coming days or can be sourced through the Windsor Hockey Heritage Society. May 21, 2014: The Windsor Hockey Heritage Society is pleased to announce the addition of Allan Fraser to its Board of Directors. 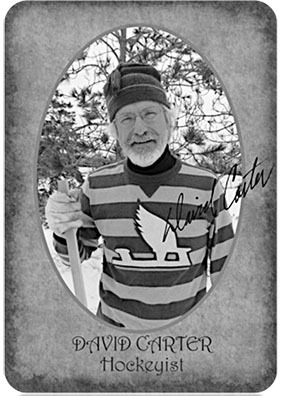 Allan was born with skates and has been involved with the Junior B hockey in Nova Scotia since 1967. 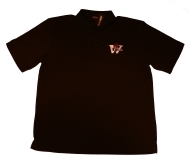 The Board and Allan look forward to continuing the work of the Society in promoting Windsor and its proud hockey history as the “Birthplace of Hockey®“.